There are so many digital products that people can make review videos, product demos or write product reviews, evaluate products and post to their video channel or website to earn money from that. There are many ways to find out and analyze the potential market for marketers. It can be on Amazon, ClickBank, JVZoo, CJ or Buzzsumo... However, if you are a new marketer without much experience that just started to enter the career, then I recommend ClickBank to learn and market analysis from which to choose the right markets that bring high profit for you. Before starting this ClickBank Tutorial article, I want you to visit ClickBank.com, follow step by step I share below and see what you find in the next 10-15 minutes. Are you ready? Ok let's start. From the ClickBank homepage, select Affiliate Marketplace on the Menu bar. Then, select a Category on the left sidebar. For me, I am interested in four categories: Health & Fitness, Home & Garden, Self-Help, and E-Business & E-Marketing. They are 4 categories that have a lot of products to sell. This proves the market is very potential, many sellers, so, many buyers. When the menu shows up, you select a sub-category. For example: I choose Home & Garden -> Animal Care & Pets. A list of the products is mentioned. Your job now is to rearrange the listing to have the best view of the market. 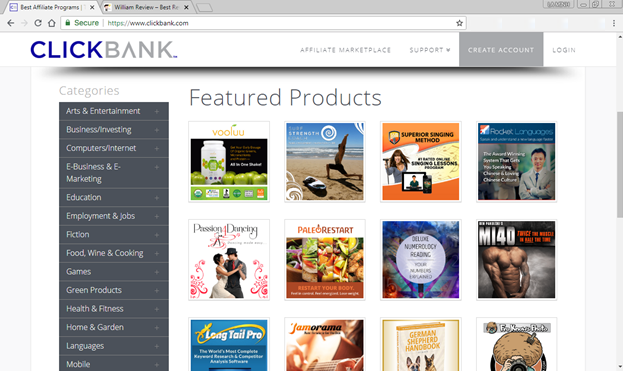 By default, ClickBank arranges products in the order of the most popular products on the top. You can keep this result and analyze it directly. Once you have chosen the product, the next thing you need to do is to view and evaluate the vendor's sales page. You need to act as a buyer, visit the sales page, see if the vendor really invest time and money in it? Or they just make it. If you cannot accept it and feel bored, not stimulated, sure your customers do, too. However, it is quite not a necessary factor in product evaluation. Do not judge a book by its cover. 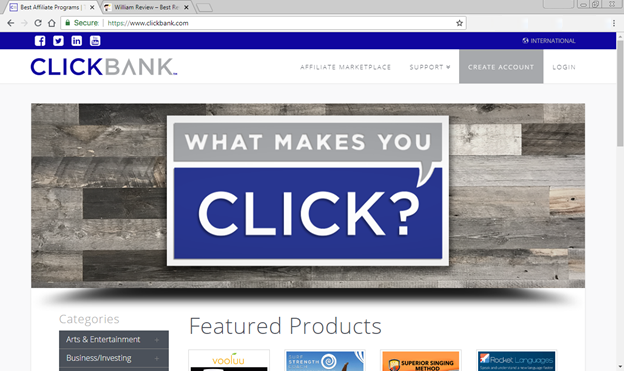 One of the biggest mistakes that many newcomers to ClickBank make is that they only focus on a specific product or set of different products for sale before they focus on a particular niche. Although we should only focus on marketing and selling for a product, we must always focus on market analysis, on a specific market. Once you have chosen a good, potential, profitable market in the present and future, choose a good product to focus on marketing it. 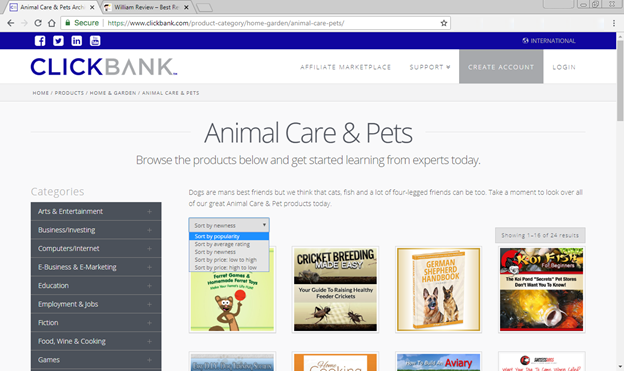 If you develop a niche market well, there are not only ClickBank products in that market but many other products in different marketplaces that you can choose to sell. Even in the first round of step 1 to 5, you have chosen a good market, try to do several times to find other market ideas. You may have picked a good market, but you know you can find a better, bigger market. Find and choose 3-5 market ideas, then consider the best market to do. Once you find and pick yourself a good niche on ClickBank, you need to find out, analyze what the users are actively looking for on the Internet related to that niche. 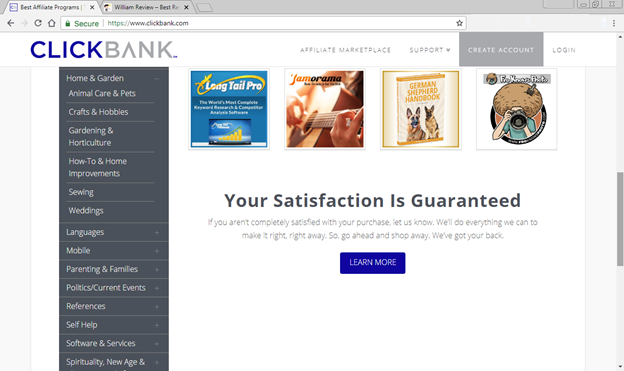 As mentioned above, you are not only limited to selling products for ClickBank, you can also select many affiliate marketing programs to sell products to your potential customers. Or even, you can completely design a product, a solution and sell directly to your customers, so you keep 100% profit. Therefore, the construction and development of a video channel, a website or blog needs to be carefully calculated, researched and oriented long-term development, exploited well in the future. Focus on the niche or topic you choose, what Internet users are up to, what they find, what their problems, and so on. Then, be a marketer. The solution solves customers' problems to build trust with them, then talk about sales. ClickBank is a large and reputable affiliate marketing platform, a marketplace with a lot of digital products being sold on it. You do not need to worry about the supply source of products. You can sell an unlimited number of customers and therefore, the commission you receive is not limited. Have you tried the process that I have shared above? If so, what did you learn? Do you find good and potential markets? Comments below to share together.